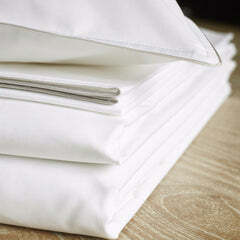 Fitted sheets are ideal for quick and efficient bed-making. Ours are cut generously deep at 40 cm to fit most mattresses. 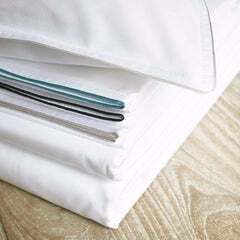 Our 300 thread count percale weave is soft and light to the touch and will age incredibly well, getting softer with use. 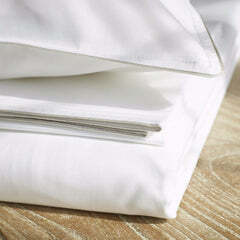 Composition: 100% Egyptian cotton, specially woven for Draper London.